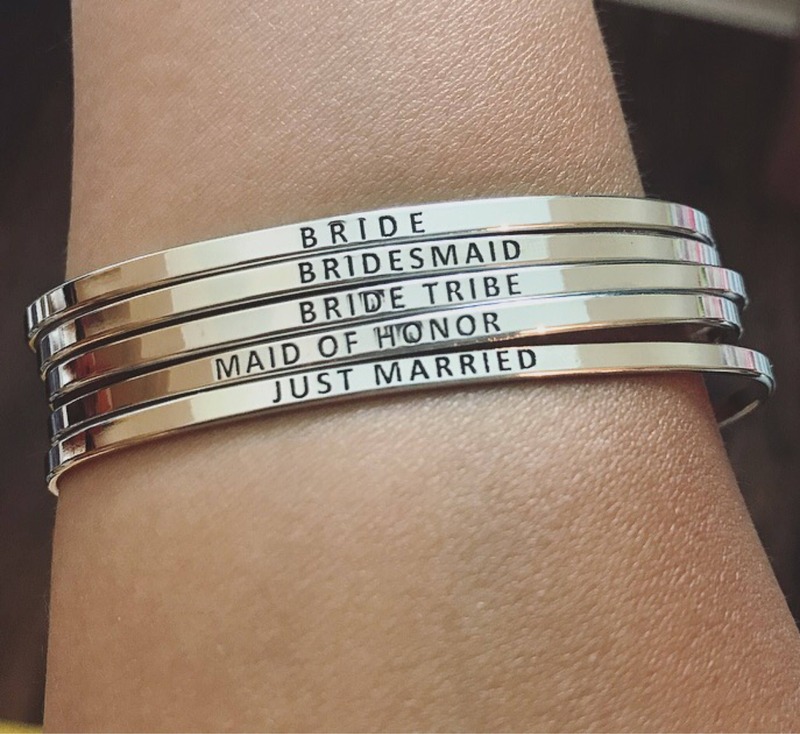 The perfect arm candy stackable bangles for the bridal party! Your choice of different wedding party jewelry to choose from when adding to cart. 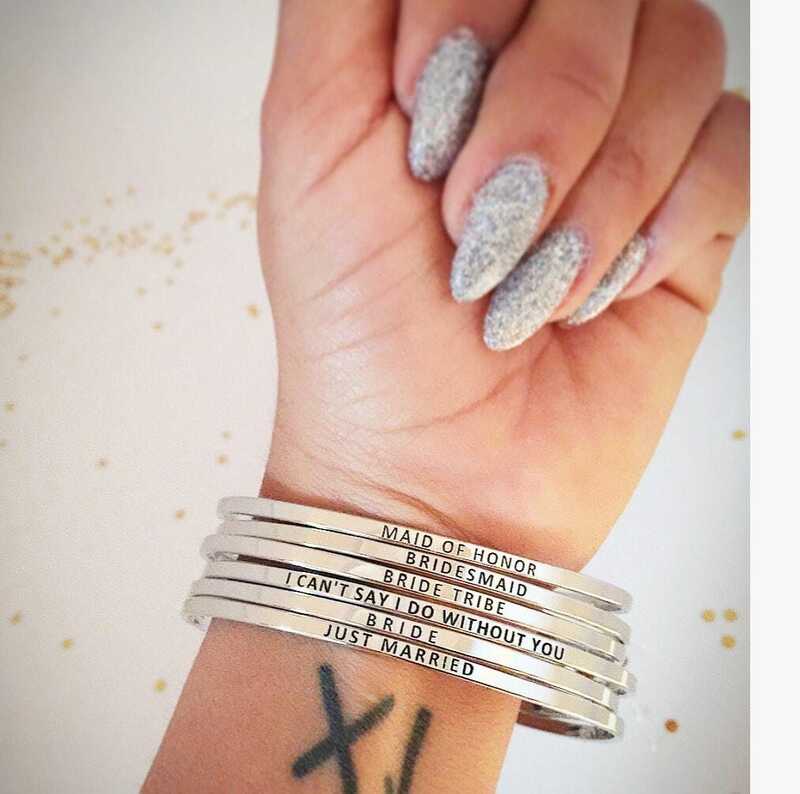 All bangles are stamped and easily to take on and off with adjustable clasp. The girls are going to be so excited!! Received the order really fast and go exactly what I expected! 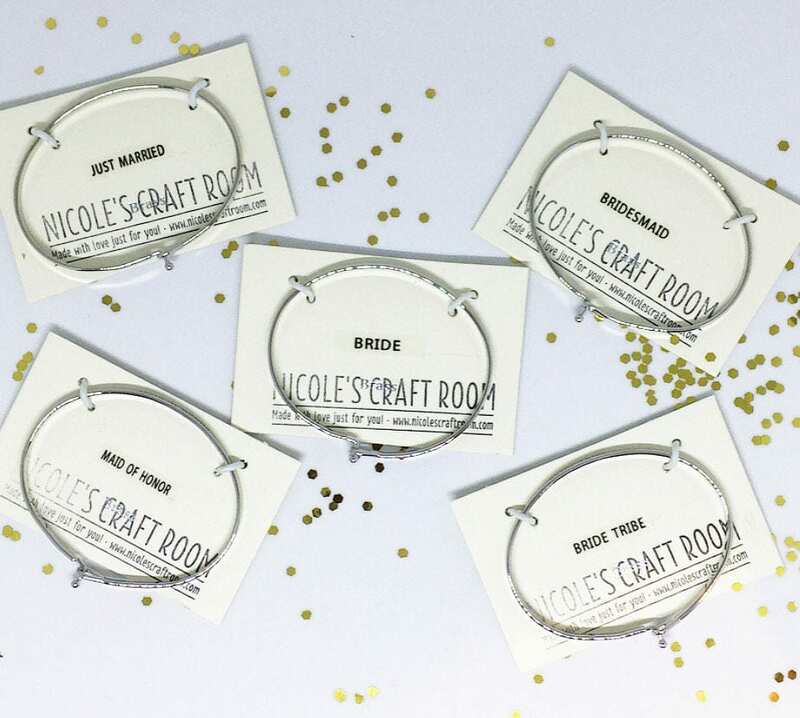 Absolutely love the bangles and cant wait to give them to everyone at the bachelorette party in a few weeks! !